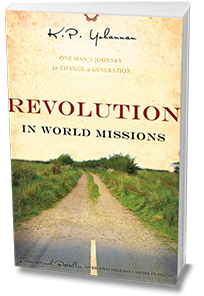 Get the new edition of Revolution in World Missions — Free! Do you long to let go of self-centredness and be more eternally minded? Do you desire to make a difference in the lost world but aren't sure how to go about it? Many people have said this book changed their life—and it just might change yours too! Order your free book today. Let us know in the form below where to ship your book. As a bonus, as soon as you order, you'll also have immediate access to download the e-book and audiobook! What radio station did you hear about us on?